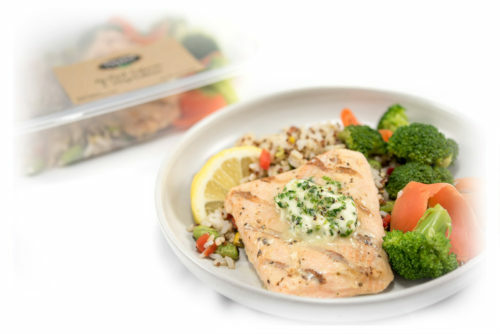 A fresh, nutritious dinner at home can be made in a matter of minutes with our line of Freshly Prepared Meals. Fully cooked and ready-to-eat, our meals are the next best thing to home cooking. 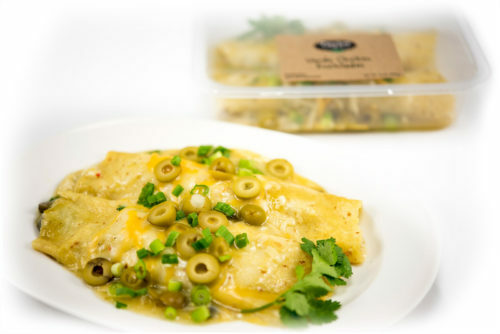 Full of flavor and zest, savor shredded white meat chicken wrapped in a corn and wheat tortilla, topped with a Four Mexican Cheese blend and green olives in a mild Verde sauce. 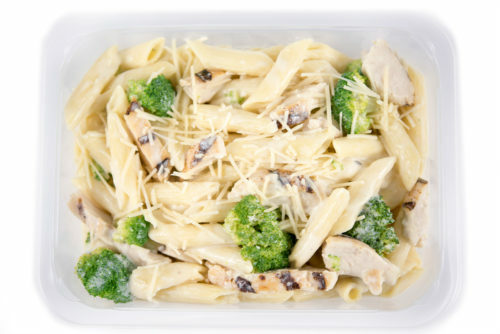 With juicy grilled chicken breast and penne pasta tossed in a creamy alfredo sauce, this dish will quickly become a family favorite. 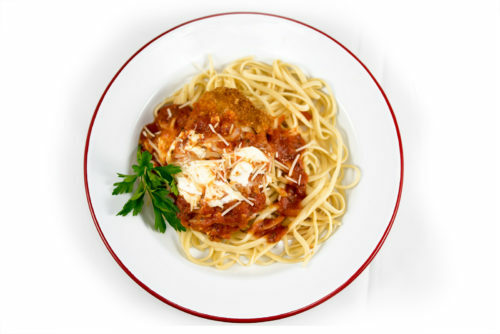 An Italian staple with linguine and breaded chicken breast topped with parmesan cheese and a basil tomato sauce. 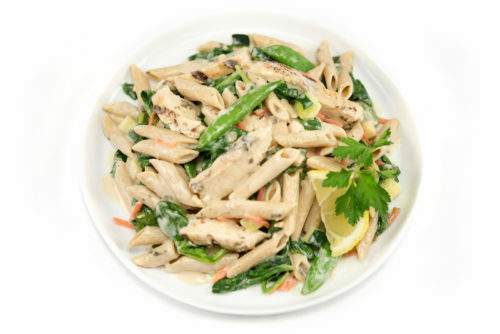 A healthy alternative with whole grain penne pasta, grilled chicken breast, baby spinach, diced zucchini, snap peas and carrots in a butter lemon thyme sauce. A simple, healthy weeknight meal with grilled salmon, fire roasted edamame and fresh veggies tossed in a delicious garlic butter. 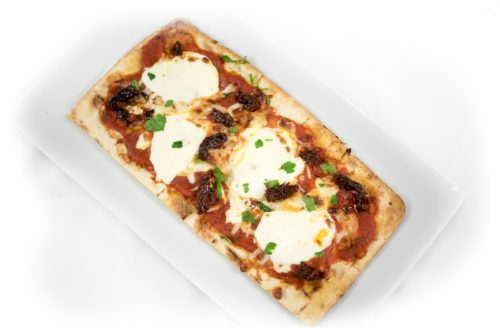 With Tuscan marinara sauce, roasted tomatoes, and mozzarella cheese on top of a lavash flatbread crust, this pizza is a popular lunch choice.